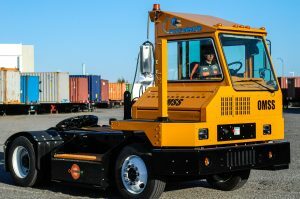 KANSAS CITY, MO and OAKLAND, CA, June 26, 2018 – Orange EV and Oakland Maritime Support Services (OMSS) today announced the deployment of an Orange EV T-Series pure-electric terminal truck to its operations serving the Port of Oakland, the San Francisco Bay Area’s largest seaport and 5th busiest in the U.S. Through this deployment, OMSS will eliminate yard truck emissions, better serve the port drayage trucking fleet, and reduce the impacts of trucking within West Oakland. 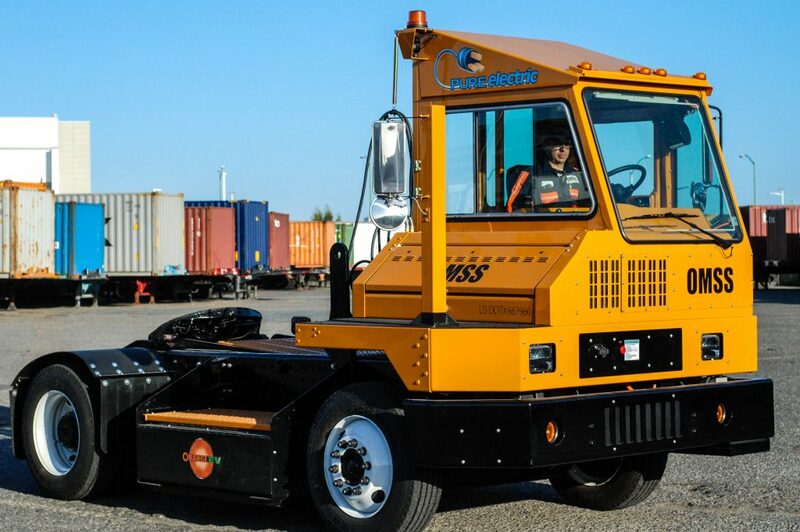 OMSS utilized funding from the Hybrid and Zero-Emission Truck and Bus Voucher Incentive Project (HVIP) to purchase their Orange EV truck. “Every incentive program should be like HVIP,” commented Aboudi. “It’s a simple process that gets new technology deployed quickly without burdening fleets with a lot of paperwork.” HVIP is currently open, offering incentive amounts of up to $175,000 per Orange EV terminal truck. Oakland Maritime Support Services (OMSS) is a truck parking and services facility for the 8,000+ trucks moving to and from the Port of Oakland on a daily basis. OMSS is currently modernizing, expanding, and relocating their existing facility to a 15-acre parcel at the former Oakland Army Base, further reducing the impact of truck activity in the West Oakland community. The new OMSS Center will be a one-stop service destination for trucks at the Port of Oakland, providing auto and truck fueling stations, parking, container storage, truck scales, trans-load facility, a convenience market, restaurant food court, office space, and other services. The OMSS Center will be a “green” state-of-the-art trucking services facility showcasing clean energy alternatives including a biodiesel fueling station.